Creating an engaging app takes much more than just an interesting idea. Gimmicks and “flavors of the month” ultimately will not break through the noise of the app stores. What's needed instead are the proven strategies that help drive better engagement for your app. These aren't tricks and some of them require significant thought and effort. They will work though if you put in the time. With that, here are 10 tactics that we regularly help our customers with at Savvy Apps to improve their app engagement numbers. Why are we starting with an element outside the app itself? Engagement starts with your user's first interaction with your app and that's in the app store itself. If no one downloads your app, in many ways that's the worst form of engagement. Take the the time to think about why people will want to even give your app a chance. What problems are you trying to solve? How do you use your app? Focus on benefits, not features as much as possible. Hopefully there’s feedback from testers that can even influence what you use in the app store listing. It’s also helpful to regularly look at featured apps. They usually provide good inspiration for well-done app store listings. See Oleo and SHRM Certification as two recent examples of app store listings we created that will help drive downloads. 28 critical metrics that measure your app's success. If an app store listing is a handshake, your onboarding experience is the first conversation you have with potential users. With onboarding, your goal is to actually get them into and using your app. That’s it. A common mistake is using an onboarding experience to teach people how to use an app. Your onboarding experience should not be a tutorial because there’s no familiarity with your app yet. Instead, continue to focus on educating users about the benefits of your app. For example, instead of showing screenshots and interface elements for the Pocket Prep app, we created custom illustrations to simply introduce the value propositions of their app. Apps that require some sort of login or authentication, especially a social login like Facebook, should never require that to be used upfront. Instead, let users explore your app as much as possible and only require signing up or authenticating when necessary. This approach continues to build off the idea of showing the value of your app before a user really has to commit to it. The simple way to approach this problem is that while in a browse or a read-only mode, no user needs to authenticate. As soon as the user wants to perform an action, they’ll get prompted to create an account. 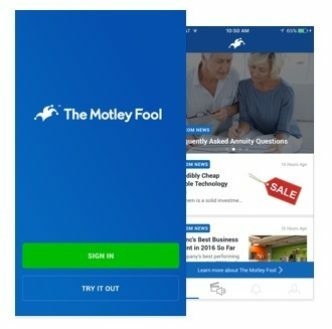 This also works well for apps that require paid access or subscriptions to just give users a taste of the app, as we did with The Motley Fool app. As we have detailed in the past, it’s important to do permission requests the right way. Otherwise, you may once again scare users into immediately deleting your app. The recommendations we suggest, as outlined in our article on this topic, include thinking about timing, context, tone, language, and messaging. It’s also important to have a plan to deal with users who, whether by accident or purposefully, deny these permissions requests. A hampered experience will not show off your app’s value propositions and can quickly lead to your app being deleted. Society is more demanding than ever. More and more retailers can deliver products the same day. People can get a ride with a tap of a button. Pizza can be delivered with a tweet. The world's information fits in our pockets. At Savvy Apps, we regularly talk about speed as a feature. Inherent in speed is that everything behind the scenes is working well. This doesn’t mean the app is completely bug free. It does mean, however, that the core features are fast and reliable. If your app is not fast and dependable each time it's opened, it’s only a matter of time before it’s abandoned. 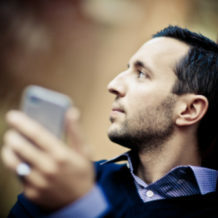 Apps that go quiet for long periods of time can be forgotten about and eventually deleted. That doesn’t mean you should SPAM users, but you should think about relevant push notifications that draw them back into your app. 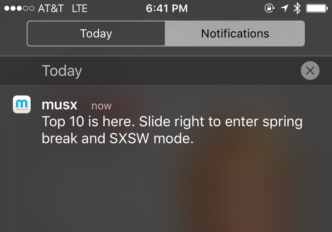 For example, Musx has a weekly push notification to encourage users to look at the top 10 songs for the weekend. They also send selective timely notifications based on concerts and other music-related events. Push notifications today can be very tailored and customizable, which makes them even more relevant. You can target devices, platforms, users who have performed certain actions, and more. Even though pushes are not a “shiny new feature,” they absolutely should be incorporated into your engagement strategy. Notifications, whether via SMS or push, are even more powerful when using deep linking in your app. We especially love to use deep linking when inviting other users to an app or when it’s helpful to take someone to a specific place in an app. Google, Apple, and others are continuing to invest into their approaches for deep linking. As we’ve mentioned in the past, we’re also big fans of services like Branch.io, which we’ve regularly incorporated for deep linking. Feedback from users is the lifeblood of your app and a simple way to increase engagement. Yet so many make it just about impossible to get in touch with them. Users then place that feedback directly into an app store review instead of sharing it with you. Don’t make it up to your users to track you down. Provide easy access to your knowledge base or FAQ as well as how to get in touch with you. You also should be using tools like HelpScout, Zendesk, or comparable. Send an automated response that you received their request and provide expectations on the typical turnaround time. We do this for our app Today using HelpScout. Failing to maintain your app can cause users to leave in search of other options over time. Updates show up in app stores and demonstrate to your users that you’re committed to your app. They are also a great way to market new features to your users. We’ve noted in the past that we recommend 1-4 app updates per month. The cadence of updates depends on the kinds of releases you’re doing and number of users. We also recommend you plan out your roadmap past v1.0 and to ensure your app is updated on launch day for new OS releases. While a broader consideration, engagement will flourish most when you think about creating an experience, not just an app or a feature. As we covered in our examination of what app design looks like in 2016, apps are now part of our daily lives. They are personal, about human connection, and contextual. They need to be designed and thought about by those who are specialized in this medium. Ensure these experience are created with the right in-house talent or by working with an outside partner (see our guide on when contracting app design or app development makes sense). All of these strategies to drive better engagement still need to be looked at through the lens of what makes a great app. It's hard, if not impossible, to keep your app focused on your users and what they need when you lack knowledge about your audience. Also remember that it’s best to isolate changes. Don’t roll all of these approaches out at once. You’ll want to understand the impact that any one of these tactics will have on your app. Then continue to tackle each item over time, so that you know how each of them helped increase your engagement numbers.